With businesses under pressure to deliver services and products faster than ever before, the benefits of mobile printing and scanning devices can play a key part in driving organisation efficiencies and should not go unnoticed. To help you sell Brother mobile print solutions we've created a handy guide with everything you need to sell mobile print and explore this growing opportunity. The number of mobile workers in the UK is constantly increasing. It is estimated that 75% of UK SMB employees print outside the offie and from a variety of locations. Whatever computer you are using and whatever the environment, if you are mobile working, Brother has a mobile print solution to enable on the spot printing. Brother is the only dedicated printing expert in the mobile printing market. As a member of our Mobile Solutions Programme, you can benefit from enhanced product technical and pricing support from a dedicated mobile specialist team, on hand to provide technical expertise. 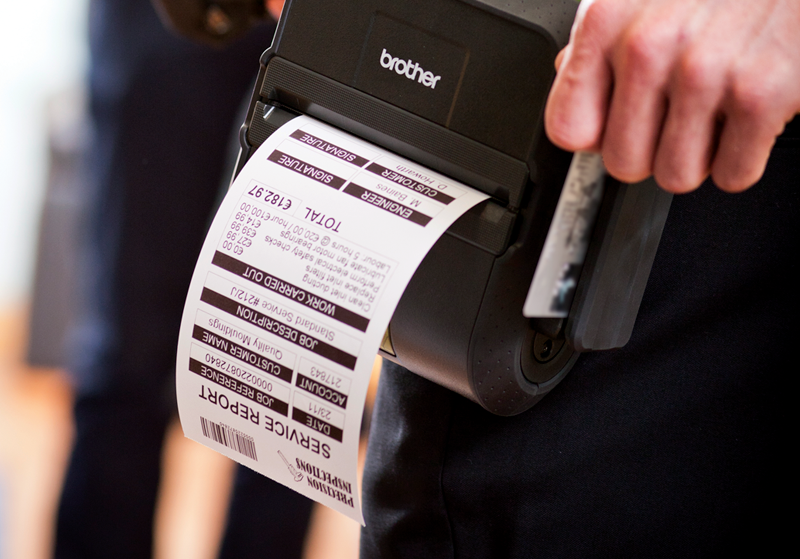 With a broad range of mobile printers, Brother has a printer to suit any enquiry. This useful sales tool lists all the facts and figures. To access the full range of Mobile Print assets, register for BrotherZone or find out how to become a partner.